News: SAS will help the bank to tap into its big data. 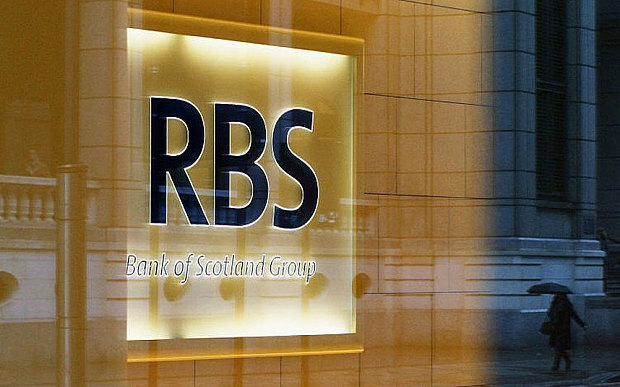 The Royal Bank of Scotland is turning to data as it looks to better serve its customers. The bank is aiming to use data to transform organisational processes in addition to improving customer engagement and has set ambitious goals of being the UK’s number one bank for customer service, trust and advocacy by 2020. To achieve this, the bank is using analytics from SAS, a 40 year old analytics software and services company. The aim is to use SAS technology to improve multi-channel banking experiences based on accurate and timely insights. Banks are often identified as having a treasure trove of data but many have failed to effectively tap into this. According to the release by RBS, the bank has recognised that the data it holds could potentially provide invaluable insights that revolutionise the way it connects with its customers. SAS, which is being deployed across the bank, will aim to improve operational efficiency and employee engagement by mining the bank’s data. Mining the data will lead to understanding context and correlation between different data sets. Among the SAS products being deployed in its platform is a Visual Analytics tool. This tool is being rolled out to over 10,000 users at the bank. The intended outcomes of the data-driven approach include delivering personalised experiences. By analysing its data, the bank says that its employees and customers are able to have more personalised conversations across multiple platforms. RBS says that this approach is also helping to reduce the number of complaints. According to the data, a significant portion of complaints came when agents had been in the post for less than a certain timeframe. In order to reduce the complaints, the bank is now offering personalised coaching to individual team members and frontline colleagues in specific areas. The analysis of its data, both unstructured and textual, has helped to create a clearer picture of complaints, what causes them and how its processes can be improved. Customer service has clearly become an area of focus for the bank; it recently revealed that it would be deploying advanced ‘human’ artificial intelligence to support relationships with small businesses. The AI known as ‘Luvo‘ is designed to help support staff to answer customer queries more quickly and easily. RBS has been working with SAS for a number of years as the analytics firm has helped it to get to grips with its data. RBS isn’t the only bank that is working to better use its data to improve services for customers. Barclays decided late last year to user customer feedback data to overhaul its mobile banking app, while the Lloyds Banking Group has started a project to analyse customer behaviour. Lloyds is using Google’s analytics tools such as Big Query, Data Flow and Big Table to test the non-personal behaviour of its customers. The goal is to help the bank to better understand customer requirements and to serve them in real-time. Mark Wilkinson, SAS Regional Vice President – Northern Europe, said: "Making smarter, faster decisions based on accurate data means change can happen quickly and the likelihood of mistakes being repeated is significantly reduced." Improving customer service and acting quickly will help banks such as RBS to help fight off challenger banks such as Atom, which recently launched its banking app.